One of the 'wow' moments from yesterday's Nindies Showcase presentation was the reveal of Cadence of Hyrule: Crypt of the NecroDancer - a new game from the team behind Crypt of the NecroDancer which is set to feature none other than Link and Zelda. The whole thing looks fantastic, from its bopping soundtrack to its gorgeous visuals, and it turns out that part of that successful art direction is thanks to a couple of members of the Sonic Mania dev team. It appears that both Midio and Paul Veer - two pixel artists who worked on Sonic's wonderful 2D outing - have applied their talents to this upcoming game. 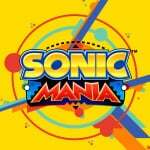 Both were congratulated on their efforts by Sonic Mania art director, Tom Fry. We don't have a release date for the new Zelda goodness just yet, but you can learn more about it here if you need to catch up. Has this one already been plonked on your Switch game wishlist? More Zelda on Switch can only be a good thing from where we're sitting. Well color me surprised! The game looks great so I'm looking forward to double dipping. I have it only on Steam currently. Is this definitely an expansion and not a standalone release? Some of the PR you quoted yesterday called it “our second game”? @gaga64 I'm not sure why Nintendo Life keeps calling it an expansion. It has its own title and a completely new art style to Crypt of the Necrodancer. Everything about it screams brand new game unless there's something I'm missing. As if I needed another reason to love this game. @Kalmaro It wouldn't really be double-dipping. Everything we've seen suggests this is a completely new title. @BenAV Well in Wikipedia it says "Clark stated that a mutual interest in the idea grew "faster than they were expecting." 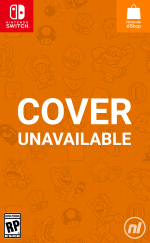 The project eventually evolved into a new crossover title." so I am guessing it's its own game, not an expansion. Folks at Nintendo Life need to do their homework. Fans of Crypt of the NecroDancer, we haven’t forgotten about you! The team at Brace Yourself Games has been hard at work, in secret, on an exciting new game! Hopefully @ryancraddock will soon correct the article. Really digging the pumped rendition of the TalTal Heights theme that played in the reveal! Whaaaaaat? I NEED this game now! Better get back to cotn now so I've played the original before the sequel! I CANNOT wait for this! Yes yes yes yes! I haven’t been this excited for a game since ... I can’t remember! It's nice to see a game other than Smash finally treating Zelda like the warrior she can be instead of an object to be rescued all the time. Never played Crypt of the Necrodancer but this intrigues me. @BenAV the gameplay? That's the bit that doesn't scream brand new game to me. When i watched the video it looked like a reskinning of necrodancer. A nice announcement from this Nindie. Wish it would come in the first half of this year since Nintendo isn't releasing anything but Yoshi, though I'm not hopeful. There does look to be a few good nindies though that'll help me through this first half of emptiness. @Sabroni The basic gameplay mechanics are the same of course considering it is still a NecroDancer game after all. But that's about all that's the same. @BradC40 It says Spring 2019 so it should be out by the end of May if it doesn't get delayed. @BenAV I'm pretty sure this is a standalone, just like Hyrule Warriors was to the Musou franchise. @Dualmask hyrule warriors and breath of the wild though . She’s a warrior in both of them. Crypt of the Necrodancer has probably just seen a huge jump in purchases. I know I've been thinking about checking it out but it never quite grabbed me (some titles just need a demo). But a nod like this from the Big N? Super down with that. @Friendly you're right, I forgot about Hyrule Warriors. BotW though...not sure about that. In fact, I remember hearing that her not being a combatant in BotW was at least part of the reason why Link got the related skin in Smash but Zelda did not. @BenAV Sweet, good to know! I am actually impress. Saw the trailer and im in love with this game. Love zelda games, never play crypt of necrodancer but i was hook with the trailer. Definitely a must buy!